While opting for nicer wheels is appealing, not every type of wheel is suited to your vehicle or driving habits. In addition to getting wheels that fit your car, the driving conditions in your area also impact the types that are best. For instance, if your region experiences heavy and frequent snow, sleet and/or rain, you will want wheels that are designed to handle these weather conditions and that are more resistant to rust. However, if you live in a warmer, drier climate this will not be such an issue. When it comes to caring for any automotive wheels, cleaning them regularly is a must. This helps remove contaminants, debris, and brake dust. If you live in an area where the winter can be harsh and salt and other chemicals are frequently used to allow for safe driving on the roads, then regular cleaning is even more crucial. Be mindful of the products you use and ensure that they are safe for the finish of your wheels. Avoid harsh or abrasive cleaners. It's rather easy to tell if your wheels aren't aligned. If your car tends to drift to one side and you have to turn the steering wheel away in order to drive straight, then your wheels aren't aligned properly. This can often happen after hitting the curb or a pothole, but should be fixed when you get the chance. Improper alignment can make driving more difficult and even unsafe. In order to keep your wheels looking new, you need to ensure they are always protected. Stay away from car washes that use strong brake dust cleaner, since this can dull the finish. There are products that are designed specifically for wheels, so be sure to use those and avoid the ones that will ultimately lead to earlier replacement. 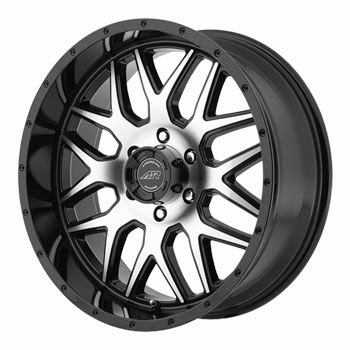 If you're shopping for American Racing Wheels for sale, we have a wide selection with many new styles, like the above mentioned American Racing AR910 wheels. Check out our outstanding inventory at Tires By Web today!